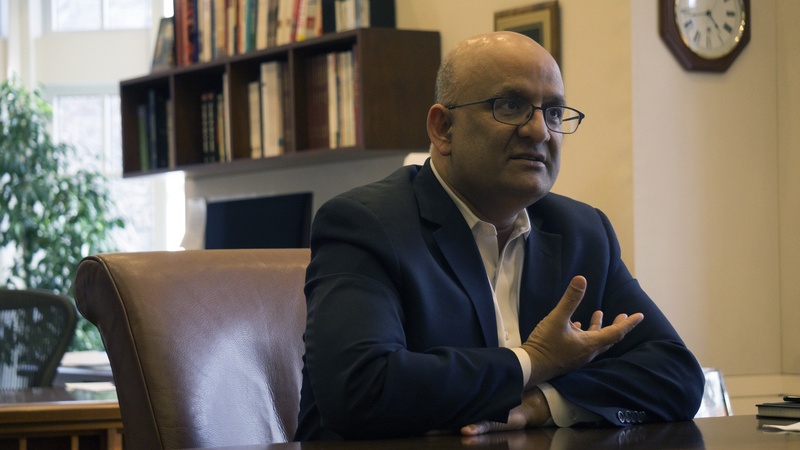 Dean of Harvard Business School Nitin Nohria said one of the most significant challenges the school faces today is the erosion of faith in capitalism and business world at large in an interview Tuesday. He said that since the Business School has always been so closely associated with broader trends in the business world, it must work toward reassuring society that businesses and the capitalist system are productive. “We — as a school that has often been associated with business, which is closely associated with capitalism — need to ask, ‘what can we do to make sure that society's trust in capitalism remains strong and can be rebuilt,’” Nohria said. He noted that the school has taken several actions in an effort to answer that question, including introducing more courses focused on ideas about economic structure. “We are trying to find ways that we can engage our students in those kinds of conversations, all the way from having a second year course called ‘Reimagining Capitalism’ that has become one of our most successful second year electives, to now trying to bring that material back into the first year of our MBA curriculum,” he said. The shift in public opinion on capitalism is especially pronounced among young Americans, according to a Gallup poll. Less than half of people in the 18 to 29-year-old age group had a positive view of capitalism in 2018. This marked a 12 percentage point decline in the past two years. Nohria also said the school has recently undertaken made an effort to consider areas of research and “projects on the future world” that have previously been considered outside of the scope of a business school. “[The Business School focuses on] research that relies on what can business do to address questions that historically people may have thought of as being in the public realm, whether it's healthcare, K through 12 education, workforce retraining,” he said. The school has also begun directing its resources and research toward economically marginalized communities, according to Nohria. In particular, the school is focusing on bringing more economic opportunities across America. “We're now trying to ask the question, ‘how do we more seriously get engaged with the American heartland and think harder about parts of America that feel left behind?' What we can do to bring more economic opportunity?” he said. The University has made an increased effort in recent years to spread its message from Cambridge across the nation. University President Lawrence S. Bacow has personally engaged in this effort, visiting schools across the country in an effort to counter ideas that Harvard only serves the United State’s liberal elite. Still, Nohria said the school’s largest area of concern at the moment remains addressing underlying distrust in the United States’ economic framework.